The “R” series flowmeters are produced entirely in acrylic material (PMMA) with a calibrated and polished conical measuring hole placed directly in the structure. Max. thermal endurance is 70 °C. The guided or free float is produced in different materials: AISI 316, Hastelloy, PVC, PTFE, Moplen etc. The flowmeters can have threaded axial, threaded square or flanged axial connections. On request, they can be also produced for PN16, PN25 and PN40. 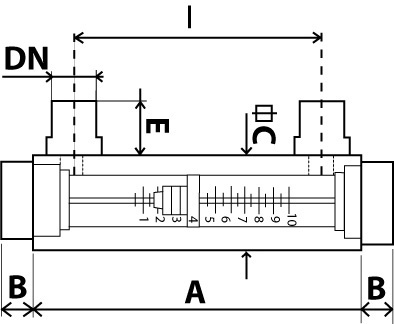 Maximal test pressure: 10 bar, PN16, PN25, PN40.